Ready for some truly unique gift ideas for baby’s first Christmas? By truly unique, I mean they actually fit the definition of ‘unique.” We writers throw that word around a lot. I admit, I’m guilty of calling a really cool mass-market item “unique.” It’s not, though. In order for something to be unique, it can’t exist anywhere else. It can’t be duplicated. It has to be totally original. These are all one-of-a-kind gift ideas. They are truly unique gift ideas for baby’s first Christmas, I promise. While you can buy the basic building blocks in a store or online, each idea has something special that you have to put into it to make it happen. We’ve included affiliate links below. Thank you for your support. 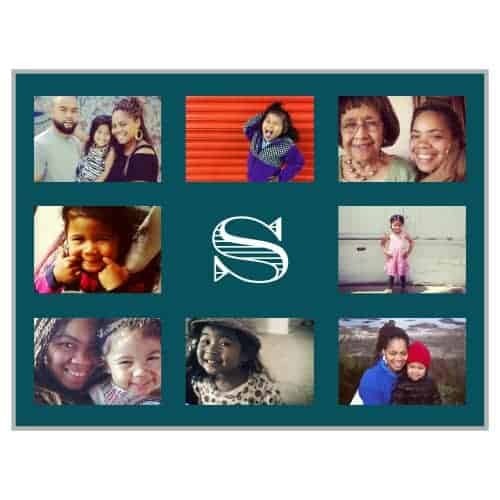 Head over to Shutterfly and design a family tree blanket that can grow with baby. Gather up pictures of mom, dad, siblings and grandparents. If you have room, add other relatives to the mix too! While you can go with a woven or fleece blanket, I highly recommend the fleece. I had one made for my mom last Christmas and it is super soft. The photo quality is outstanding too! Plus, fleece is just more comfy to curl up in. A children’s book…written by you! Got a flair for writing stories? Grab a pen and paper, then craft a tale featuring baby’s family (and baby too, of course) as the stars! You don’t have to be Dr. Seuss to write a meaningful story. Pick a funny story from your family’s history and spin it into a children’s tale. If you’re writing it for your child, tell the tale of how you met your baby’s father (or mother). Share a story from your childhood. You can even create a comic book if drawing is more your talent. Blurb has great options for turning just about any idea into a beautiful book. I recently took my son on a tour of a historical house in our area and they told us about the hope chest. It was meant for girls and contained all the things they needed to be wives. While the original meaning behind it is a bit antiquated, it’s still a cool idea for both boys and girls. Start with a beautiful chest and one essential item, like a set of dishes or a comfy quilt. Every year, add something new to the hope chest. When baby strikes out on her (or his) own, she’ll have a nice starter set for her new home! One of my favorite unexpected gift ideas for baby’s first Christmas is to create a time capsule. I wish I had done this when my son was born! Grab a personalized box, like a fun tin lunch box from Frecklebox. Fill it with newspaper clippings, pop culture items and other things that represent the year of baby’s birth. Instruct parents to put it away until the child grows up. On his 18th birthday, he can open it and check out how the world has changed. If singing is your specialty, put together a personalized lullaby CD (or digital collection, if no one uses CDs anymore) for bedtime. You can get as fancy or as low-tech as you want here. Go all out and grab some home recording studio equipment or just sing into your phone’s voice memo app. You don’t have to be a singer to do this. Maybe you play the guitar, piano or violin instead? Make a lullaby recording of that! 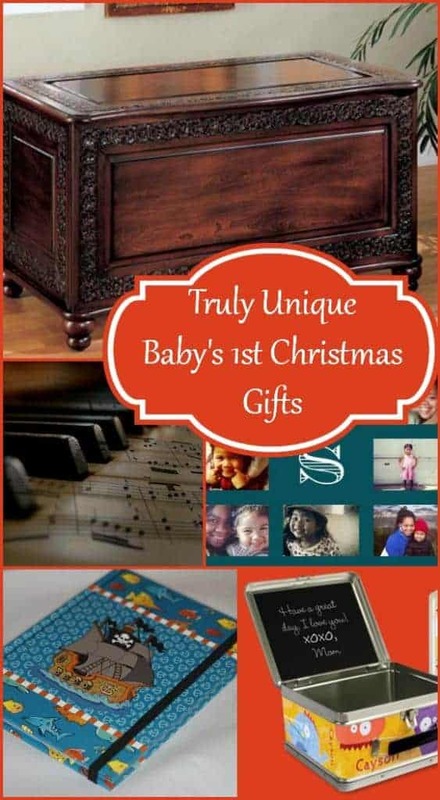 What do you think of these gift ideas for baby’s first Christmas? Do you have a favorite? Great ideas , have a new grand baby and 2 new great nieces born this year. Love the hop chest idea! And I love the one you picked! I love the time capsule idea! 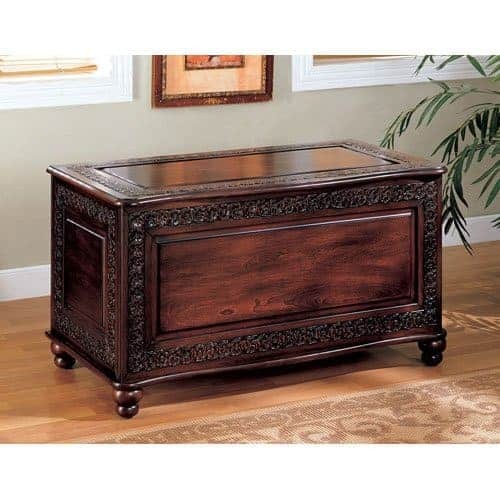 A hope chest makes a really nice gift at any age! I love the time capsule idea! Totally wish I had done that for mine! Wow that is one gorgeous hope chest!! Just beautiful! I love hope chests! It’s a fading tradition, but it was so nice to have when I was growing up. The children book written by you for your child is a great idea. It’s unique and will be truly cherished by the child when he’s a parent himself. Great ideas. My son has a toy chest made by his now deceased Grandpa that means the world to us. Great gift ideas! I had a hope chest growing up and it is one of my most treasured processions! What sweet gifts. This is my baby’s 2nd Christmas, these would be great for 2nd Christmas’ too! I love the idea of the hope chest. My father in law made one for my daughter and she still has it 27 years later. perfect ideas! I just love the Hope Chest! Great ideas! I’m in love with the hope chest!